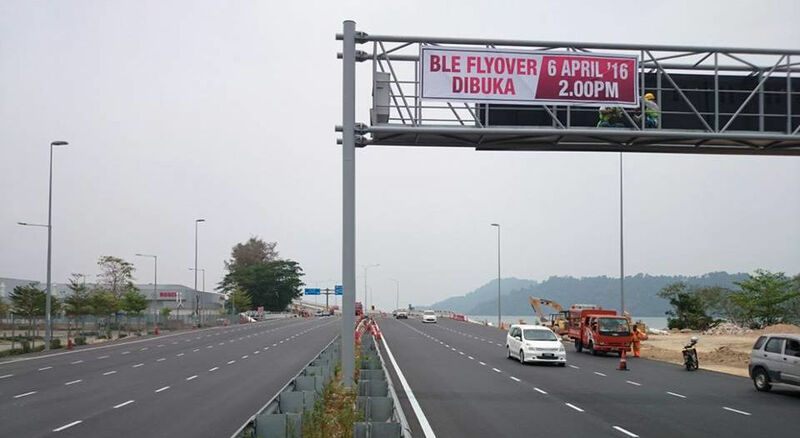 Motorist will be able to use the four-lane Bayan Lepas Expressway (BLE) in Penang from 2pm today. 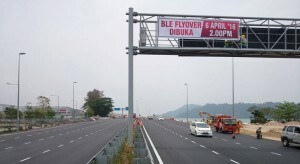 The elevated 3.2km-long dual carriage structure of the BLE connects motorists coming from Batu Maung to Sungai Nibong (Queensbay). In a press statement yesterday, the Public Works Department and UEM Builders Berhad advised road users to observe all the traffic signs and adhere to the speed limit of 70km/h when using the expressway. The BLE is the longest elevated expressway in the state. Construction of the expressway began on April 1, 2014, with UEM Builders Berhad as the main contractor. The entire expressway is equipped with LED street lighting, drains, a bicycle lane, bicycle bridge and road dividers.